Whether you’re having breakfast at Tiffany’s or breakfast on your porch, you’ll be confident, comfortable and forever classic in Daisy Alexander pajamas. 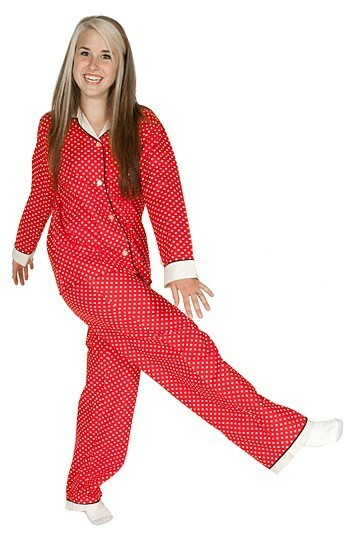 Daisy Alexander is your grandmother’s favorite pajama updated to fit your style and your life. This classic cotton poplin "Dots" pajama features a button up shirt over an elastic with drawstring waist pant with side pockets. If you like this, make sure to check out other women's pajamas from Daisy Alexander.